Town car service DC: Getting out and about in a city like Washington DC can be quite stressful if you don’t own a car of your own. Our world is constantly growing in every aspect of it whether it is in technology or in commodities. People find transportation services for all their needs as it is no longer as expensive as it once was. If you are looking for transport for a prom, wedding, bachelor/bachelorette party or simply a corporate event then town car service in DC is the absolute right fit for you. Our service is an excellent way to simply beat the traffic and all the hassles that revolve around owning a private vehicle. Businessmen most often use our services as it allows them to be able to travel from one office to another rather quickly. Since our cars are chauffeur driven, it saves people a lot of trouble that revolves around maintaining a personal vehicle. As we said, it is a fast world and we just want to keep moving forward leaving behind anything that slows us down in any way. When you ride in our cars that are driven by our expert drivers, it allows you more time to focus on things that matter more like work emails or phone calls and if you want you can just simply kick back your shoes and unwind. But we would like you to know that despite being our most loyal customers, businessmen aren’t the only ones that choose our transportation services. If you have been traveling for long, the last thing you want is to drive a car which is where we come in. With us, you are assured to have safe transport from the airport where you can have a quiet journey and just rest if that is what you wish to do. Our driver will simply pick you up and drop you off to your destination and you will not have to worry about petty issues like traffic and finding a parking space. This in turn will save you a lot of time and rid you of any kind of stress that you would rather not have. We suggest you opt for our town car service not because our services are the best of the best however true that is, but we urge you to find transport because we simply do not think that it is safe for you to be driving when you are that tired. We care about our customers. 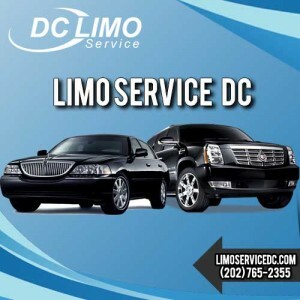 Town Car Service DC – The Best a Man Can Get In DC! Tourists as well as visitors can also reap benefits from our transport services, as they no longer have to drive through the streets of a city that they have never been in before. When you’re a tourist, the slightest of hiccups can ruin your day in an unfamiliar city. How will you travel and see the sights when you are too busy figuring out the GPS system of your left handed car? This is precisely why we suggest that you opt for a town car service in DC and make your tour memorable. It does not matter if you need a town car for a corporate event, wedding, girls night out or simply for a breakfast dinner, we will be there to make sure you get the best of our services and that you get your money’s worth. Our transport is safe which allows passengers to have a fun time without having to worry about how has to stay sober at the party in order to be the designated driver. We understand how that can put a damper on things. There are many benefits that you can avail from our services and we will show you exactly what they are so that you can make a well informed decision regarding the transport service that you choose. If ever you need transport to travel from one place to another, we can assure you that your call will be to us. We have heard stories from our clients about their experiences with previous car rental services, which is why we know how common it is for cars to show up late at your door when you need them to be early. Our drivers have gone through rigorous training and so they understand how important it is to be punctual. They don’t only arrive on time but rather they arrive at your pick-up location with a few minutes to spare so that you have plenty of time to gather your things and be on your way. People shy away from renting transportation services because they assume that they are far more expensive than what they can afford which is highly untrue. Our services are inexpensive and available to all our customers. And what’s more is that we always have amazing discounts going so our customers always have something to look forward to. So don’t listen to any rumors, just call us. Most transportation companies out there will make you promises that they will fail to keep. Sure their services will be cheap, but will they be worth it? Ours will be. We value long lasting relationships with our customers rather than having customers that book our cars once and never look back. Loyal customers are what made us who we are today. How often do you need some alone time while you are traveling where you just want to roll up the window and relax or prepare for a presentation without the sounds of the traffic from the road distracting you? With us, you can have all that. Our cars are private and our interior is luxurious yet comfortable giving you the chance at the ultimate car experience. The last thing we want you to do is make a rushed decision. We understand how difficult it can be to switch from one transport company to another which is why we urge you to call our customer care representatives and ask them all about our services so that you can make a well-informed decision.